With all of the many boats that we buy, I bet you didn’t know that we also buy personal watercrafts (PWCs). Yes, you read that right. 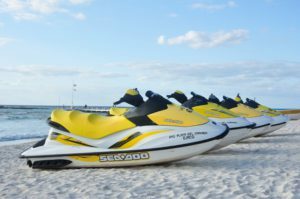 Believe it or not, jet skis are actually in high demand and bring a lot to the table. In truth, when riding on a personal watercraft, both the driver and the passengers have a more intimate experience together than with any other type of boat. Why? Well, for starters, a PWC is personal. And as we all know, not everyone is the same. Trying to tell someone which personal watercraft is the “best” is like trying to tell a person who they should vote for. We all like different styles, different speeds and even have different definitions of comfort. However, when it comes to asking for jet ski recommendations, Sell Us Your Boat has a top three that you can start off with. The Sea-Doo RXP-X 260 is definitely known for its speed. It is powered by a supercharged 1,494cc Rotax engine that is fairly capable of going beyond 65 mph. A thing that really stands out would have to be its craft handling ability. Also, this specific type of Sea-Doo has a unique running surface that allows for the craft to run on a smaller surface at speed. The Sea-Doo RXP-X 260 is built in such a way that it’s able to corner harder than anything now in production. The Yamaha VXR is a personal watercraft that has brought the company’s lightweight NanoXcel hull construction to a formerly entry-level VX-series hull. With its supercharged engine, this jet ski also includes modifications to its deck, pump inlet and sponson position. And that’s not it! In addition, it also corners very well with great aggression! When riding on this type of watercraft, you’re in for a radical ride. The Kawasaki Ultra 300X is well-known for its ability to tame the ocean waters with a secure ride. It has been relied on by many offshore racers. With a 1,498 cc supercharged engine, this craft is currently listed as the highest horsepower power plant in the watercraft industry. Kawasaki’s Ultra 300X has speeds that go beyond the 65 mph mark. Riding this promises you a great time of your life. 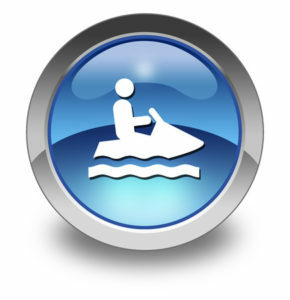 Sell Your Personal Watercraft to Sell Us Your Boat for Good Cash! Are you looking to sell your PWC soon? At Sell Us Your Boat, we are interested in all types of personal watercrafts: Kawasaki’s, Yamaha’s Honda’s and Sea-Doo’s. The process is quite simple–all you have to do is fill out our free quote form and we’ll be in contact with you to discuss a price and an arrangement date to pick up your jet ski. Finally, for more information on what we buy, please do not hesitate to give us a call at 1-954-519-2460. We look forward to hearing from you soon!